The deposits are in the states of Jammu and Kashmir in northern India. The main sites from which sapphires are extracted, were discovered in 1881 on the southern slope of the Zaskar Range, near the settlement of Sumjam. The geological structure of the deposit is poorly investigated. The sapphires occur in friable deposits and in primary feldspathic veins within dolomitic marbles, which form intercalations in garnet-amphibole and biotitic gneisses. 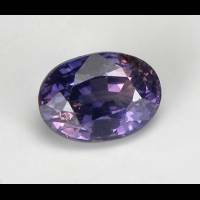 Sapphire is found sporadically in the amphibole zone. Accompanying minerals are rubellite and green tourmaline, kyanite, aquamarine, hambergite, amethyst, etc. The Kashmir sapphires have a pyramidal habit, truncated by a pinacoid. The largest crystals reach 12.5 cm in length and 7.5 cm in width. 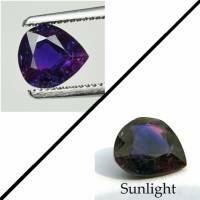 The colour is mainly pale to dense cornflower-blue, but violet, pink, green and yellow sapphires are also found. 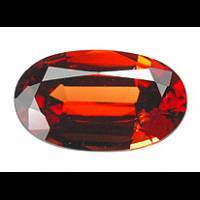 Colour-zoning and velvety lustre, which is caused by minute gas-liquid inclusions, are characteristic of Kashmir stones. 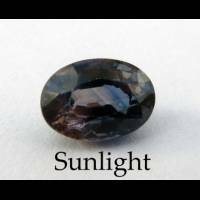 Common inclusions are: dust-like rutile, green and red-brown tourmaline, pargasite, and zircon. The refractive indices are 1.760 - 1.769, the density is 3.99 - 4.03 g/cm³ (Brown, 1956).